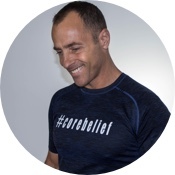 When Pete Pallai founded myPilateslondon he wanted to create a boutique studio with a dedicated and approachable team of practitioners, with instructors who offer their own individual skill sets and style but, foremost, look after their clients and offer a holistic approach to conditioning and rehabilitation. Our team of experienced practitioners work very closely with our 1:1 clients and also run classes in small groups of maximum 6 people. This ensures that each of our clients benefits from focused individual attention to help them set and achieve their own goals. Pete is a two-time Olympian, competing in Nagano in 1998 and Salt Lake City in 2002. He also played rugby in London’s 1st and 2nd divisions for 10 years. Studio Pilates is a system of exercises using special equipment, designed to improve physical strength, flexibility, and posture, and enhance mental awareness. The equipment provides resistance or assistance through a system of springs and levers, designed to facilitate each move by making them harder or easier. This will be dictated by your level of ability during your sessions so the degree of challenge varies greatly and is tailored to suit your needs and goals. The equipment you’ll get to know includes weird and wonderful sounding contraptions like the Wunda Chair, Orbit, Reformer, Cadillac and Ladder Barrel. The body is very intuitive at adapting and you will get to grips with these unfamiliar machines in no time. Don’t worry, it’s not rocket science! Check out our very talented and dedicated team members below! Julie has a lovely French accent and a warm charm. She first started Pilates 8 years ago in preparation for a heli-skiing trip. It was then she discovered the benefits of this discipline. Suffering from a strong scoliosis condition, Pilates provided relief for her back and a marked improvement in her posture. Julie has evolved from client to instructor keen for others to benefit from her personal experience. Julie will take you through a firm practice session and at the end you will feel energised for the rest of your day. Get ready for Juiie’s Zen session! Harry is a former professional rugby player and still competes at a high level. He may seem a little intimidating at first, but is always fun during the session. So, expect a tough, honest, down-to-earth approach and the occasion one-liner! 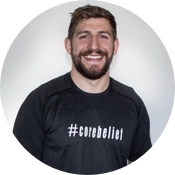 Harry is always very approachable for help, advice and exercise tips and corrections, giving and expecting 100% commitment in his sessions. 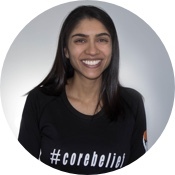 As well as being a Pilates instructor, Bhavini is a full qualified Physiotherapist with extensive knowledge of the human body and a decade of experience in rehabilitation. 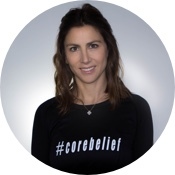 She has a trained eye for movement control and would admit she is a perfectionist when it comes to teaching Pilates and getting the best out of her clients. So don’t be deceived by Bhavini’s quiet-natured personality, because once you begin your session be prepared for a stimulating yet robust workout! Steph is passionate about changing bodies. Don’t let her nice as pie relaxed demeanour deceive you! Her classes focus on deep strengthening through healthy alignment and functional exercises based on anatomical knowledge. Determined for you to get the best out of her class, you will definitely remember it for the next few days! 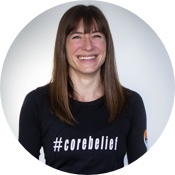 Trained as a sports therapist in 2003 she discovered Pilates whilst living in Auckland in 2012 and it quickly became her passion. Whilst in New Zealand Steph was fortunate to work with professional athletes in rugby, Cross Fit and cricket. Fresh and exciting every class is different! Meet Laura, another French addition to the team 🙂 Laura is a former triathlete who loved competing in long distance triathlons. A heart condition put a stop to her competing but brought her to Pilates. Laura was surprised to discover how challenging and empowering pilates could be and decided to train as a Polestar Pilates Practioner. 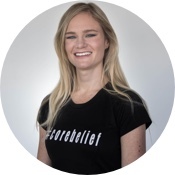 She also has over 10 years experience as a sports massage therapist, which enhances her understanding of how the body works in and out of training! If you seek commitment and attention to detail, Laura has it! “Pete and his team put 100% into everything they do. Pete’s thoughtfulness & dedication to his clients leaves them feeling special and always coming back for more. Whether you need a fitness expert or advice from a friend, Pete is there with wise words and an open heart. Pete is truly an inspiring coach, friend and ambassador for the lululemon family”. Balanced Body has always believed that mindful movement like Pilates changes people’s lives. Our passion for positive change has resulted in our becoming the world’s largest provider of Pilates equipment and education. We were the first Pilates company to substantially update Joseph Pilates’ equipment by combining state-of-the-art engineering, materials and technology with a modern understanding of human biomechanics. Our fearless leader (a.k.a. our founder and CEO), Ken Endelman, designed hundreds of improvements to Pilates’ original equipment, many of which have since become industry standards. Balanced Body has been awarded 28 US patents, and numerous foreign patents for his inventions, with more patents pending. Cadence Health is a Health Coaching college offering an internationally approved Nutrition & Health Coaching program which seeks to train passionate health-lovers to change lives for the better. Neat Nutrition was founded by former GB swimmers Charlie Turner and Lee Forster who, after years of being on the athlete side of sports nutrition, wanted to create a product they could believe in. From a shared passion and commitment for quality, Charlie and Lee’s key objectives were showing provenance, removing ambiguity, embracing simplicity and helping to educate consumers. The culmination of this was creating a product that was well sourced, cleanly produced and tasted great. The Putney Clinic of Physical Therapy is part of London’s largest NHS and Private Medical Treatment Facility located on Upper Richmond Road in Putney, South West London. We provide a complete cycle of care, from the immediate treatment for your pain and injury rehabilitation through to lifestyle changes, preventative exercise and mind-body wellbeing. A range of resistance bands and training advice to help you make the most of your workout, everyday. BandForce can help you improve your strength, mobility and speed whilst reducing the likelihood of injury through our unique training systems and advice. If you are someone who wants to stay fit and healthy, are an amateur sports person or even a professional athlete BandForce can help you take the next step to becoming your own force of nature.